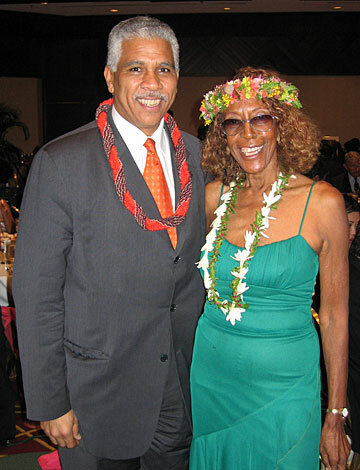 Faye Kennedy, first vice president of the Honolulu Hawai'i National Association for the Advancement of Colored People, welcomed keynote speaker Hilary O. Shelton to the group's Dr. Martin Luther King Jr. Gala Dinner Dance Saturday at the Waikiki Beach Marriot. Shelton, director of the NAACP's Washington Bureau, spent more hours getting to Hawaii than the total length of his stay here but gave a stirring and entertaining speech about the continuing importance of King's social legacy for Americans of all races. 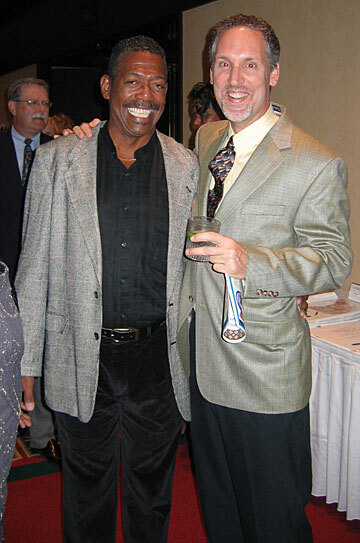 Leonard Piggee, left, talked with Russell Motter during the cocktail hour before dinner. Piggee was one of the featured entertainers who performed later in the evening. Motter, the director of "Joe Turner's Come and Gone," is presenting historian John Hope Franklin in a special post-show talk next Friday at the Yellow Brick Theatre. Call 550-8457 for details. 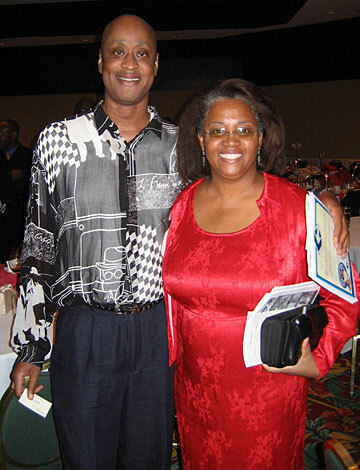 Alphonso Braggs, president of the Honolulu Hawai'i NAACP, greeted vocalist Rea Fox outside the ballroom. 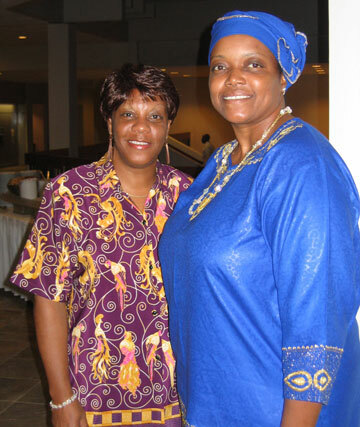 Although the dinner was created to honor the legacy of the Rev. Martin Luther King Jr. as part of Hawaii's annual observance of Martin Luther King Day, this year's program also recalled the courage and leadership shown by the late Rosa Parks in fighting racial segregation in the 1950s. 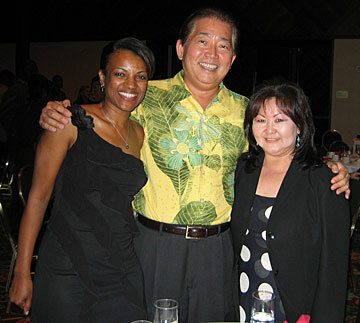 Allicyn Hikida Tasaka, right, chief operating officer of the Japanese Cultural Center of Hawaii, enjoyed the party with her husband, Gary Tasaka, and Melody Moses. 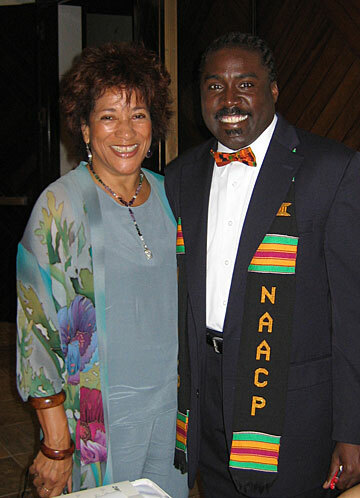 Gregory Scott Harris chatted with Hawaii NAACP Assistant Secretary Liz Holmes. It's been years since Harris last did local theater, and his comic talents are missed. Francine Cobbin, left, and Ruth "Jonesy" Jones arrived fashionably on time despite a "near miss" when they got cut off by another driver in the Waikiki weekend traffic.